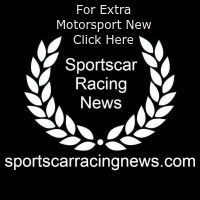 Michael Christensen scored his second Pirelli World Challenge (PWC) GT victory of the season on Sunday at Road America. The Danish Porsche factory driver entered the weekend with four consecutive podium finishes in North America’s premier sprint format GT series driving the No. 24 Alegra Motorsports Porsche 911 GT3 R. He missed the podium in Race 1 on Saturday, but came back on Sunday to score the win in the 50-minute race at the Elkhart Lake, Wisconsin track. The popular Dane is on a streak of success that is hard to match in international motorsports. One week ago, he teamed with Laurens Vanthoor (Belgium) and Kévin Estre (France) to score his first 24 Hours of Le Mans victory piloting the Porsche GT Team 911 RSR to the LMGTE-Pro class win. In May, he had raced to his first PWC win at Lime Rock Park – a SprintX Championship win with co-driver Spencer Pumpelly (Atlanta, Georgia). He had piled-on a podium result in every PWC race dating back to early May at VIRginia International Raceway (VIR) prior to that giving him one of the best finishing percentages in international racing to this point in the season. His success on Sunday came following an impressive start which jumped him into the lead from third-place on the starting grid. The twin, 50-minute sprint races on the 4.048-mile, 14-turn circuit drew five Porsche Motorsport-built cars to contend for the PWC GT, GTA and GTS podiums. Scott Hargrove (Canada) entered with, and will leave with, the PWC GT Overall Championship points lead. The two-time IMSA Ultra 94 Porsche GT3 Cup Challenge Canada by Yokohama Champion earned a third-place finish in Race 1 on Saturday with the No. 96 Pfaff Motorsports Porsche 911 GT3 R, just behind Toni Vilander who, along with Christensen, is Hargrove’s prime competition for the title. Starting second on the grid for Sunday’s race, Hargrove would hold-on to finish in fourth-place – one spot ahead of Vilander – maintaining his point lead. The weekend was the debut for Anthony Imperato (Brooklyn, New York) in the PWC. In fact, it was the first time that the Porsche GT3 Cup Challenge USA by Yokohama regular had ever competed in a non-one make series. Driving with the 2017 PWC Championship-winning Wright Motorsports team, Imperato showed himself well earning a third-place in the GT Amateur (GTA) class in Saturday’s race. Making their combined return to Porsche in the GTA class was Andy Wilzoch (Denver, Colorado) and Flying Lizard Motorsports with the No. 46 Porsche. 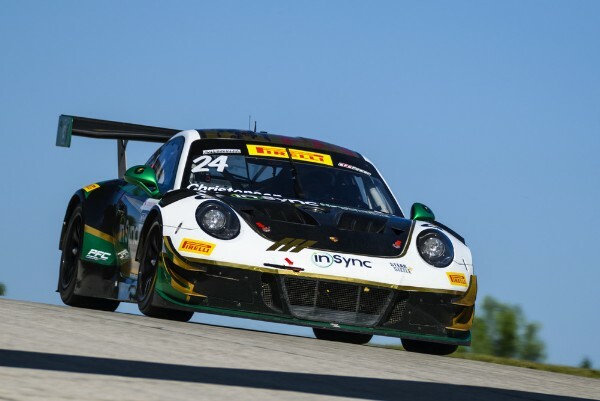 Wilzoch was sixth on Saturday and in fifth-place at the checkered flag on Sunday in the GTA class 911 GT3 R. Rounding out the Porsche contingent at Road America was the No. 13 Pfaff Motorsports Porsche Cayman GT4 Clubsport MR piloted by Canadian Orey Fidani. Fidani was a tenth-place GTS class finisher on Saturday and took eighth-place on Sunday. The Pirelli World Challenge travels to Portland, Oregon, July 13 – 15. Rounds 7 and 8 of the SprintX Championship mark the return of professional sports car racing to the revitalized Portland International Raceway.